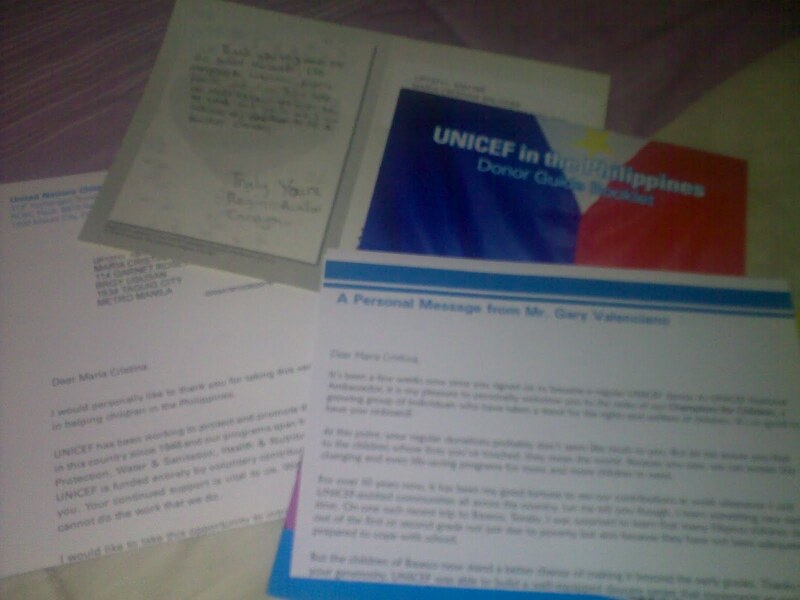 A few months ago, I was approached by a couple of Unicef volunteers while out shopping at SM Makati. I normally steer clear of such but I’m very glad I stayed a couple of minutes to let them talk me into making monthly donations to Unicef. I’ve always wanted to be involved in charity – I enjoy visiting homes for the aged and orphanages and organizing fund drives. Lately though, I haven’t had enough time to squeeze it into my schedule so donating was the next best thing. good for you. 🙂 my monthly charity contribution is to Singapore's cancer society. sila kasi unang lumapit saken. maybe i should switch.